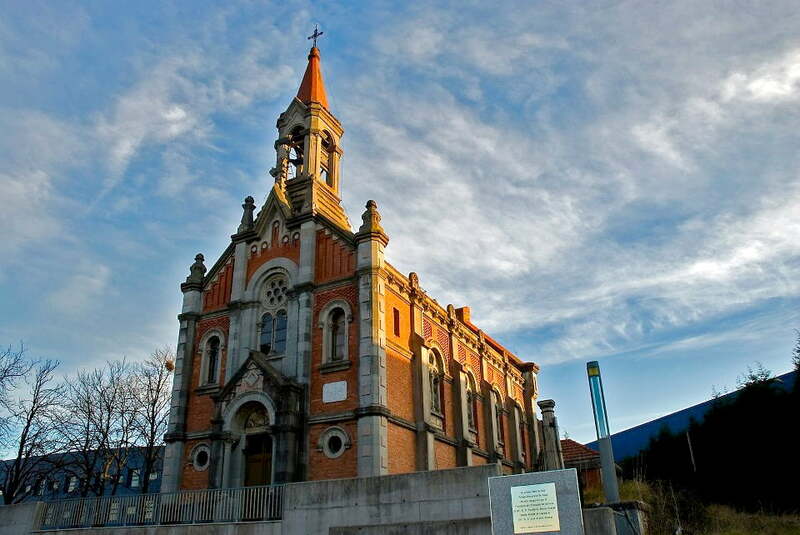 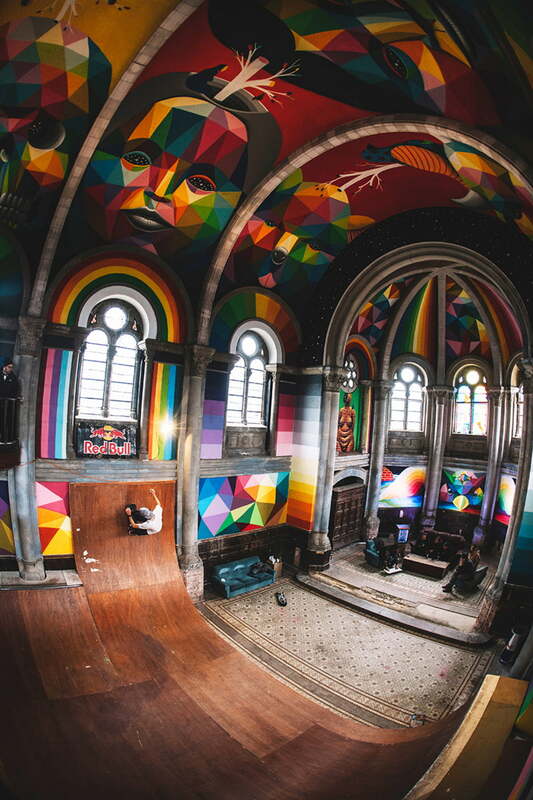 Abandoned and crumbling from neglect church in the spanish municipality of Llanera, Asturias originally was design by architect Manuel del Busto in 1912 until a group of individuals called the ‘Church Brigade’ with help from online fundraising and Red Bull turned this church into a public skate park dubbed Kaos Temple. 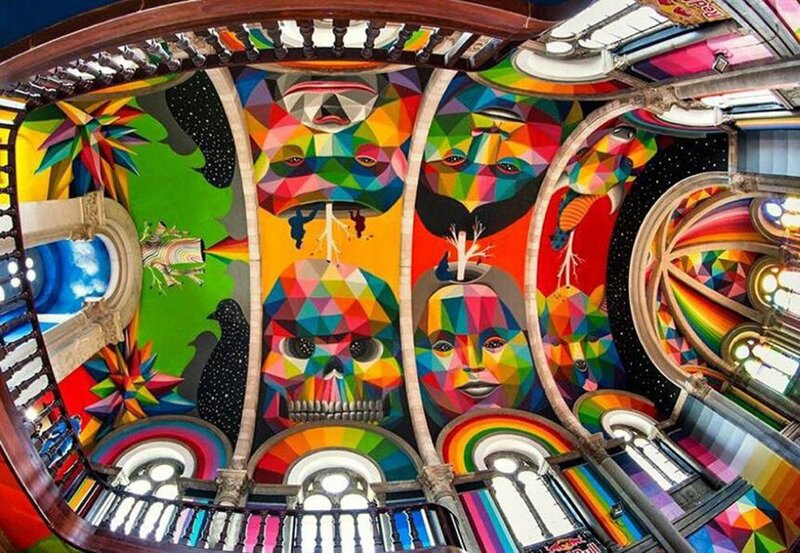 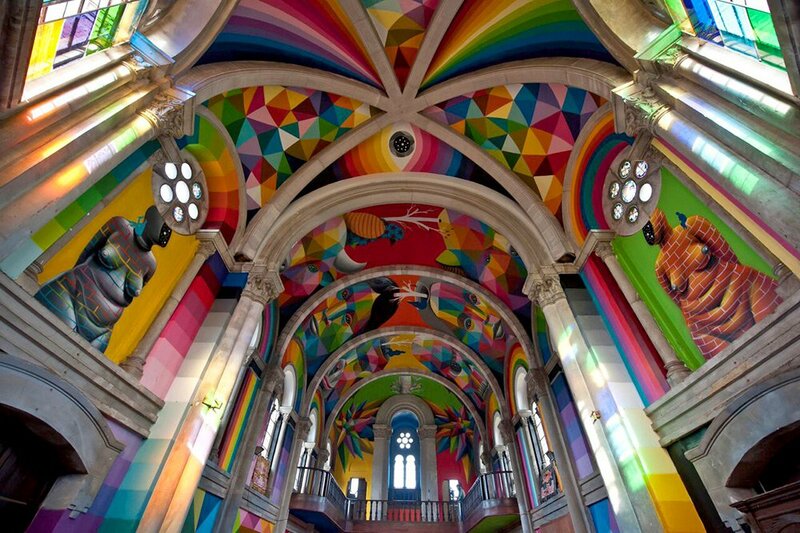 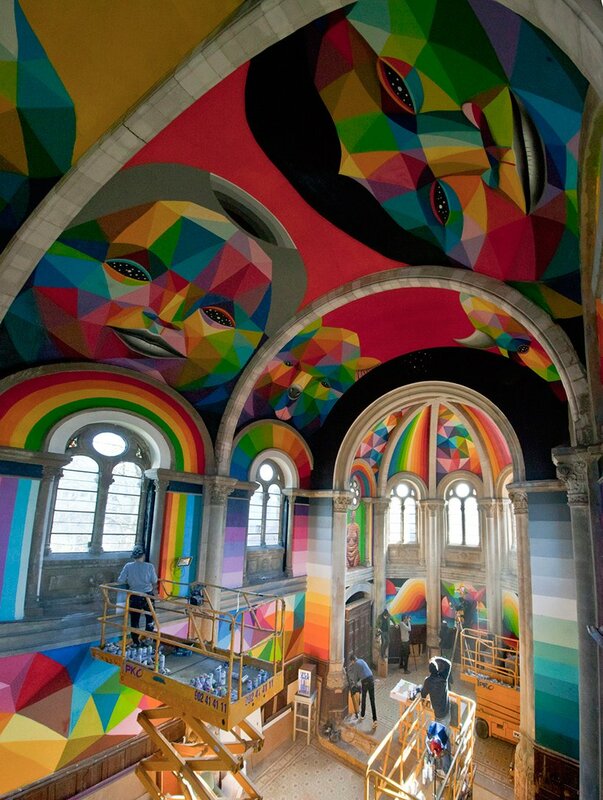 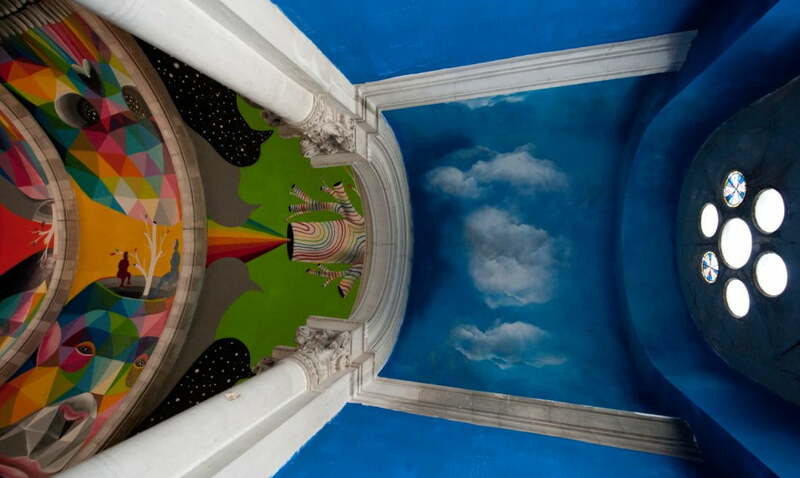 The place was salvaged and if having a skate park inside an authentic abandoned church wasn’t enough the final touch was bringing in famed artist Okuda San Miguel who was commissioned to cover the walls and vaulted ceilings with his unique brand of colorful geometric figures. 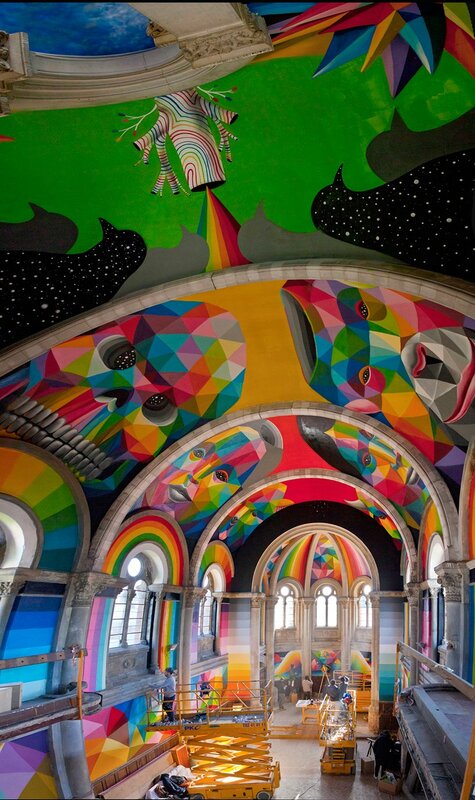 Nearly every flat interior surface is covered with a rainbow of color, illuminated from every side by tall windows, making this a truly special place to skate. 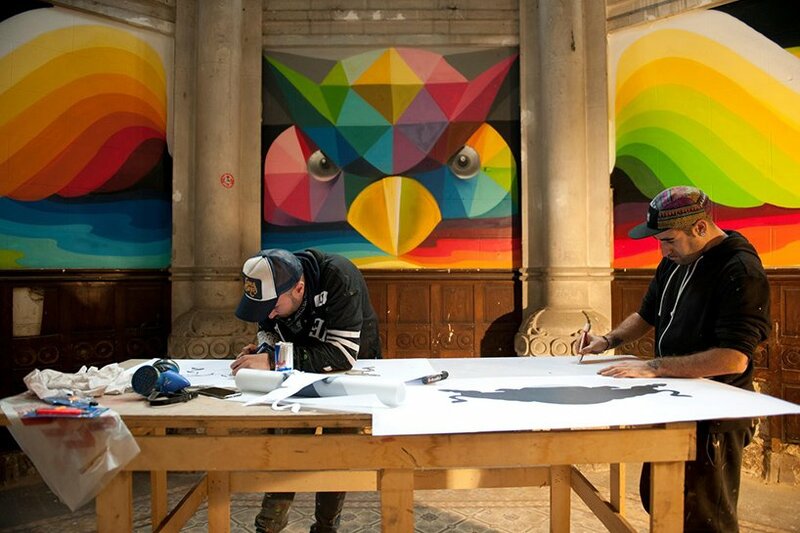 A refreshing blend of old and contemporary now author of Kaos temple wants people to know that this skate park is a destination for everyone: art aficionados, history buffs, skaters, and anyone with a healthy curiosity.